Is It Safe To Mix Cannabis With Over-The-Counter Prescriptions? Curious about mixing cannabis and over the counter prescriptions? These over-the-counter prescriptions medicines may interact with cannabis. Is it safe to mix cannabis with over the counter pills? Unfortunately, anytime you create drug cocktails, you risk worsening side effects. While cannabis is non-toxic and has a high safety margin on its own, the friendly herb can interact with over the counter drugs. It’s always advisable to use caution when mixing cannabis and medications and to consult a medical professional when possible. Here are three common over-the-counter prescriptions medicines that may interact with cannabis. Looking to kill your buzz? Taking an ibuprofen, aspirin, or another non-steroidal anti-inflammatory drug (NSAID) while under the influence of tetrahydrocannabinol (THC) may decrease some of the psychoactive and memory-impairing effects of the herb. A 2013 study published in the journal Cell discovered that the memory impairments caused by THC are associated with an increase a particular enzyme. Enzymes are proteins that transform and break down compounds into smaller compounds. For example, digestive enzymes help the body break down the food you eat and extract nutrients. The study looked at the effects of THC on an enzyme called COX-2. The COX-2 enzyme is proinflammatory and also implicated in memory. The researchers found that THC increased the presence of COX-2. This is the potential cause of the short-term memory deficits caused by THC. Interestingly, over the counter pain medications like aspirin and ibuprofen work by blocking COX-2. 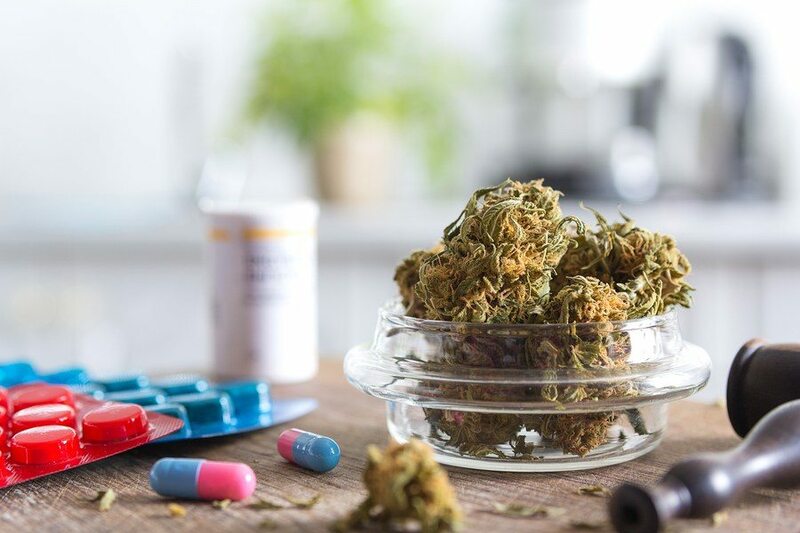 The researchers found that adding the anti-inflammatory drug Celebrex to THC treatment halted the compounds negative memory effects while still maintaining some of the beneficial medical effects of THC. While Celebrex is a prescription drug, it works through some of the same mechanisms as many over the counter pain medications. Mixing cannabis with common cough and cold medicines may increase the drowsiness and sedation associated with the over the counter drugs. Drugs that contain dextromethorphan, which is a cough medicine, are sedative in their own right. When combined with cannabis, side effects can include increased dizziness, drowsiness, confusion, and mental fog. Dextromethorphan is found in drugs like NyQuil, Robitussin, and Zicam. Pheniramine, found in Thera-Flu and other flu medications can produce similar side effects. You may experience negative side effects when combining cannabis with drugs that contain doxylamine, which is an antihistamine found in NyQuil and other over the counter allergy medicines. Mixing the two can cause increased drowsiness, confusion, decreased motor function, and cognitive impairments. Similarly, the primary ingredient in Benadryl (diphenhydramine) can also cause pronounced sedation, confusion, and dizziness when mixed with cannabis. Same with cetirizine, which is commonly sold under the brand name Zyrtec. Looking for a safe alternative to allergy pills? Try Nettle tea. There is good reason to use caution when mixing CBD oils, products, and strains with over the counter and prescription medicines. As it turns out, research suggests that CBD blocks the action of enzymes in the liver that break down about 70 to 80 percent of the medicines on pharmacy shelves. The liver is the primary detoxifying organ in the body. 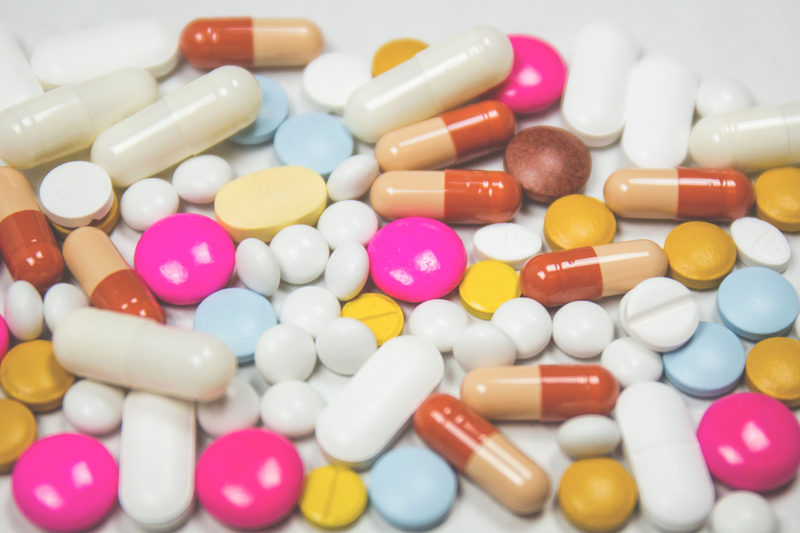 Blocking the action of liver enzymes means that over the counter drugs may not effectively be cleared from your system, increasing your chances of negative side effects. If consuming CBD and over the counter drugs, you may need to lower your dose of both substances. Contacting a doctor or medical professional prior to taking the over the counter medication is wise.